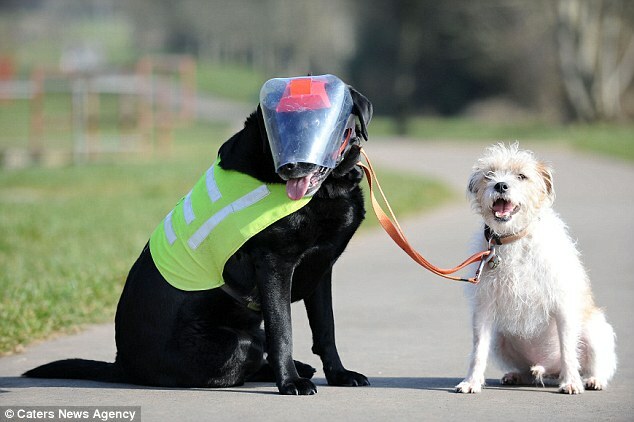 A blind labrador's faithful friend has taken on the role of his guide-dog. 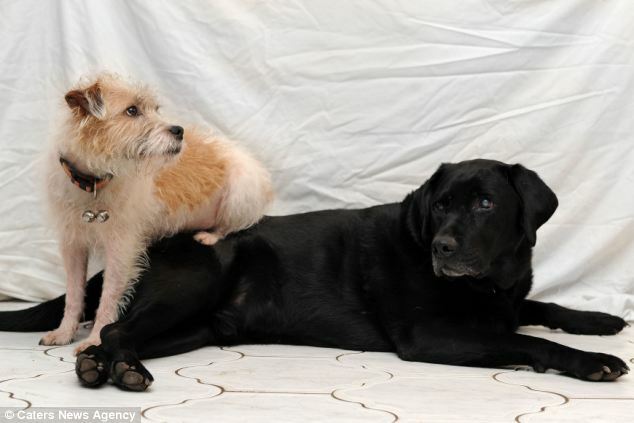 Crossbreed terrier Milo, six, acts as seven-year-old Eddie's eyes to play and bring him back to proud owner Angie Baker-Stedham when they're out and about. 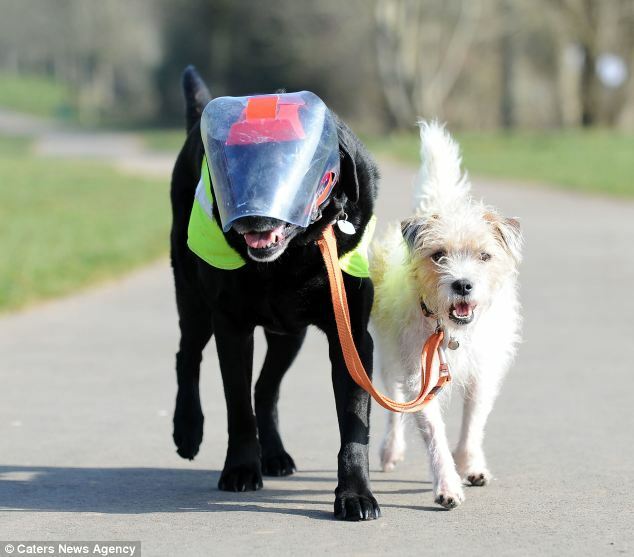 He can even be seen pulling Eddie along by a lead. Ms Baker-Stedham, 45, says the heartwarming pair from Cardiff are joined at the hip. 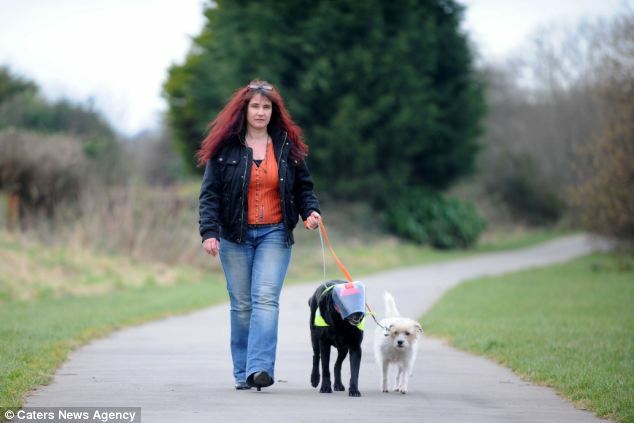 She said: 'Before Eddie went blind they both used to chase after dog toys, but now Eddie relies on Milo to help him play and they love going into the woods. 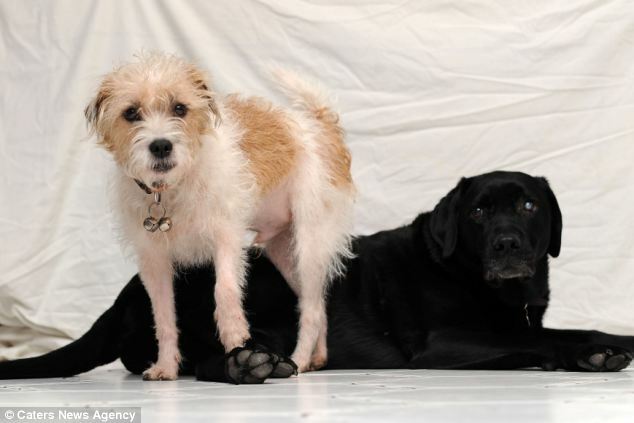 'Milo has always got his eye on Eddie and even sits on Eddie's back when he lies down. I first noticed that Eddie was going blind last year when he started to walk into wheelie bins and walls. 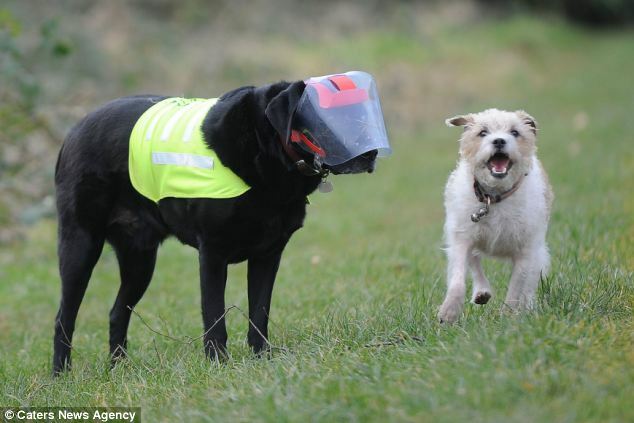 Milo took on the role of his assistance dog with no training. Ms Baker-Stedham said: 'Milo really cares for Eddie, he always licks his face, they sleep in the same room and spend all their time together. Without Milo, Eddie would be lost. 'Milo even wears bells on his collar so that Eddie can follow him around. If Eddie wanders off, Milo will go and look for him and bring him back to me. However, things took a turn for the worse when Milo was diagnosed with immune mediated haemolytic anaemia and had to undergo a blood transfusion. 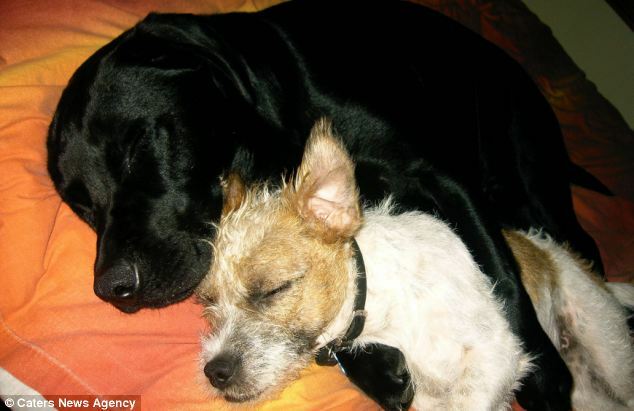 Ms Baker-Stedham said that while his brother was at PDSA hospital, Eddie struggled to cope. Ms Baker-Stedham has three or her own children and has fostered an incredible 61 children over the past nine years. She says Milo has helped her to create a family environment in her home for dozens of children. Milo is now back home living a healthy life again and guiding Eddie once more.